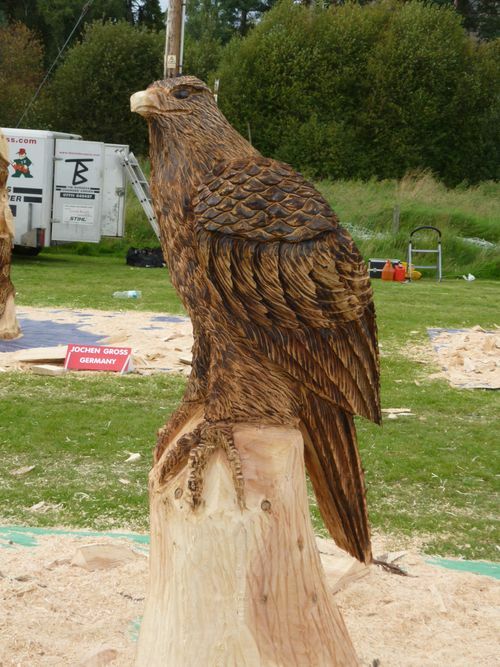 This stylised Golden Eagle was sculpted with chainsaws ONLY - in just four hours at the Carve Carrbridge International Chainsaw Carving Competition, at Carrbridge, Scotland, in September, 2009. I was placed third out of 28 chainsaw sculptors. It was sold at auction and now sits on a hillsdie near a farm in the Highlands of Scotland.